As I write, the only thing lacking is official confirmation by the Romney campaign that Mittens will adopt young Paul Ryan as his running mate. It would appear as though Mittens’ disaster-laden campaign of the past few weeks has prompted his billionaires to lay down the law and require Ryan as the Very Serious Running Mate. Ah, yes. 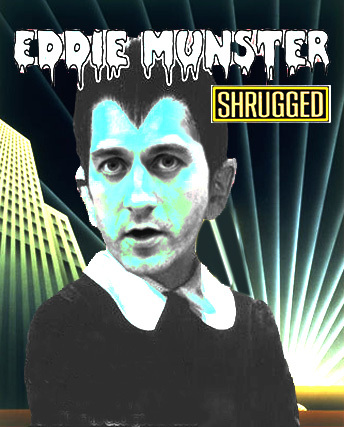 Paul Ryan, “zombie-eyed granny starver” extraordinaire. The guy who loved Ayn Rand until he didn’t. Here’s a nice video of Paul Ryan. 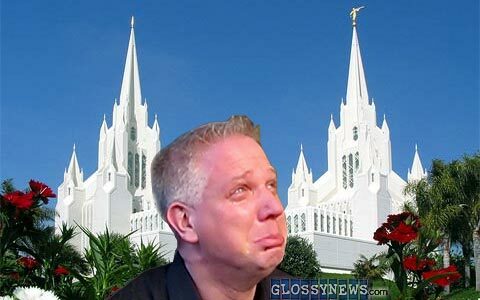 I’ll bet it would make a great commercial, this lovefest with Glenn Beck. Paul Ryan is a disaster, but that doesn’t mean the Villagers won’t treat him as a Very Serious VP Candidate Who Will Give Mittens A Much-Needed Bump. They will treat him that way. Meanwhile, the Very Serious conservatives will rejoice and forget Mitt is their candidate, substituting Paul Ryan in their minds for the first name on the ballot, and the Kochs will open their wallets wider for Their Black-Haired Boy. See, for example, the fawning by Chuck Todd and David Gregory over Ryan As Visionary. He wants to raise taxes on ordinary people so billionaires and millionaires can get a break. Check. He wants to give Granny and Grampy a little voucher instead of the Medicare they’ve come to know and love. Check. He was once a beneficiary of the social safety net he seeks to destroy. Hypocrisy. Check. Also? President Obama turns him into a whining, sniveling wimp. I have a theory about why Ryan is the Boy Wonder, and no, it’s not the one that says Mitt is really Herman Munster and Ryan is his sixth son, Eddie. I think Mitt’s billionaires were tired of his very terrible, awful campaign and decided they’d better get the base fired up before they gave up entirely. And so word was passed to Mitt: It’s Ryan or we’re done with you. After that, all that was left was tapping Tagg to fire TPaw and Rob Portman. Mitt seems to be quite good at delegating tasks, even firing people. Over on the left, there is much rejoicing about Mitt’s the billionaires’ choice for the veep slot, and for good reason. After all, for eighteen months we’ve been trying to get the general electorate to see the do-nothing Congress in all its glory, from the debt ceiling debacle to the Ryan budget monstrosity to the zillionth meaningless vote to climb into women’s reproductive systems. Now it will be on display for all to see, naked, fat and ugly. A few other random thoughts. Does anyone giggle at the thought that Bill Kristol picked Sarah Palin and Paul Ryan? How will Newt Gingrich cover his tracks? Has anyone asked Paul Ryan about Ponzi schemes, particularly those he benefits from? Who does Eddie Munster’s hair? Quick, hire them for Pretty Paul’s campaign appearances. The toxic environment that right wing talk radio has created is now destroying it as Premiere Networks is circulating a list of 98 advertisers who don’t want their ads to appear on Hannity, Beck, or Limbaugh. To all Traffic Managers: The information below applies to your Premiere Radio Networks commercial inventory. More than 350 different advertisers sponsor the programs and services provided to your station on a barter basis. Like advertisers that purchase commercials on your radio station from your sales staff, our sponsors communicate specific rotations, daypart preferences and advertising environments they prefer. . .They’ve specifically asked that you schedule their commercials in dayparts or programs free of content that you know are deemed to be offensive or controversial (for example, Mark Levin, Rush Limbaugh, Tom Leykis, Michael Savage, Glenn Beck, Sean Hannity). Those are defined as environments likely to stir negative sentiment from a very small percentage of the listening public. via Morning Briefing: August 19, 2011. Ratings for Rush Limbaugh, Glenn Beck and other hyperpartisans are declining as listeners seek honest talk from hosts like Michael Smerconish over angry rants. A more civil conversation will add value to our political debate, writes John Avlon. There’s new evidence to suggest a demand for something different than hyper-partisanship in the world of talk radio and political media. 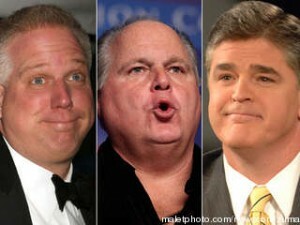 It’s not just the sunset of the Glenn Beck Show on Fox or the dispatch of Keith Olbermann from MSNBC to CurrentTV. It’s the shuttering of a pioneering conservative radio station and data showing the demographic decline of Rush Limbaugh. In contrast, growing numbers of listeners are tuning in to independent voices who can be honest brokers in debates and don’t just angrily parrot talking points. In February, I wrote a column asking whether right wing talk radio was dying and ruffled some feathers in that flock. A more accurate means of measuring listeners showed that conservative talkers’ ratings had either declined or flatlined in the heat of the 2010 election, while the world-journalism focus of the John Batchelor Show had seen a decided ratings climb. Now, a look at radical centrist Michael Smerconish’s national ratings growth since the start of the year provides more evidence of this emerging market. First, here’s a snapshot that puts the shift in perspective: Just days after the 2010 election, the nation’s first all-conservative talk radio station, KVI in Seattle, switched back to a classic-rock format after 17 years. Its innovation had become media saturation—and music became an appealing alternative to the drone of a dozen Rush Limbaugh imitators. The Creature from Jekyll Island is in many ways a compendium of previous works claiming that the Federal Reserve is a fundamentally illegitimate — and therefore deeply nefarious — organization. Most of these theories were deeply anti-Semitic in nature, since they depicted the Fed’s bankers as part of a Jewish cabal intent on destroying white American society. What sets Griffin’s work apart is that — like most Birch texts, which assiduously avoided anti-Semitism — he manages to scrub out the anti-Semitic elements while keeping the paranoid conspiracist elements intact. Since its publication in 1994, Griffin’s book has become a popular text for a large number of right-wing extremists, particularly tax protesters and Patriot movement believers. Griffin himself was involved in organizing a gathering on Jekyll Island last year that the Southern Poverty Law Center credits with helping revive the militia movement. It has been debunked thoroughly, of course — probably most notably by historian Gerry Rough, whose three-part series on the origins of the Fed, “Another Twist on the Jacksonian Bank War,” pretty thoroughly reveal just how fraudulent Griffin’s text really is. You can read it here: Part 1, Part 2, and Part 3. [Rough has debunked Griffin further in other essays as well: here, here, and here. Griffin, in addition to spinning conspiracy theories about the Fed, is also a 9-11 truther and has written extensively about the U.S. government’s “facilitation” of the attacks. In April 2008, Griffin appeared on the radio program of conspiracist Alex Jones and claimed that he predicted just days after 9-11 that “the FBI and the intelligence agencies of the federal government had advance knowledge of this attack but did nothing to stop it,” and that he was proven right. He also is — or, at least, was — a member of the ultra-right wing John Birch Society. He wrote a 1970 pamphlet entitled “This is the John Birch Society: An Invitation to Join,” and a 1975 book entitled The Life and Words of Robert Welch: Founder of the John Birch Society. Who Is Joel Richardson, Beck’s End Times Prophet?